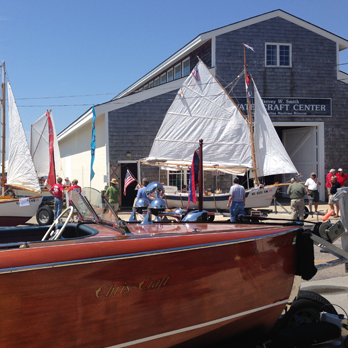 Welcome to the 45th Annual Wooden Boat Show! 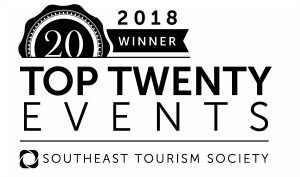 Saturday, May 4, 2019 – 10 a.m. to 4 p.m. The 45th Annual Wooden Boat Show’s schedule of events will be packed full of exciting things to do. Set sail in a traditional wooden boat, or practice your boating skills in the Virtual Trainer. 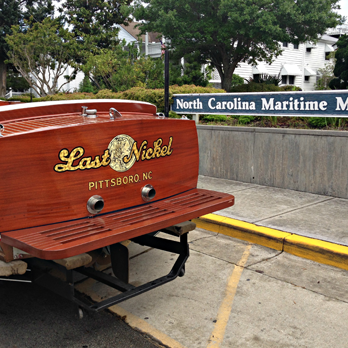 Don’t forget to stop by our vendors and of course visit all of our wooden boat exhibits. 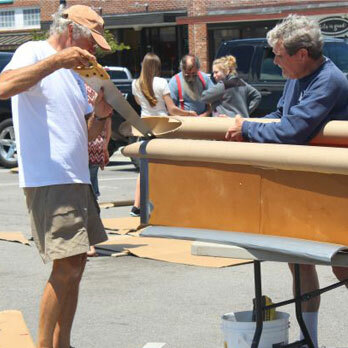 Wooden boat owners come from all over to be a part of the Beaufort Wooden Boat Show! 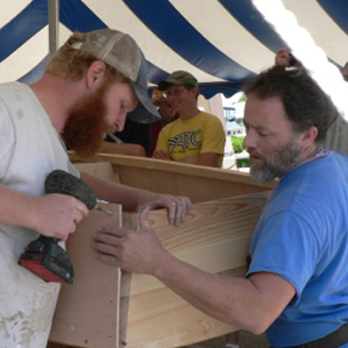 If you think traditional boat building has its challenges, you don’t have to look any further than the 12th Annual Beaufort National BoatBuilding Challenge. It’s an afternoon of fun and competition as the event showcases the art, skill and speed of traditional boat builders. Cardboard and duct tape, that’s it. Three hours later a cardboard boat that will go into Taylor’s Creek for a rowing race. Some make it, others will wish they had used more duct tape!! 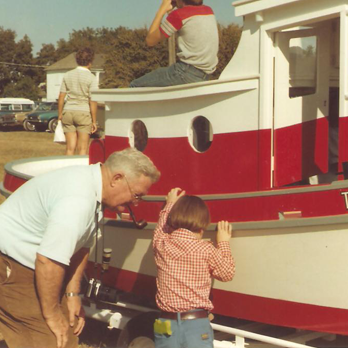 It was 1975 and Mr. Charles R. McNeill and friend Michael Alford were conversing about their love for traditional wooden boats when they decided to hold an event for the community that would inspire others to foster similar feelings about something handcrafted, something worthwhile, something beautiful: wooden boats.  Registration is open for the 45th Annual Wooden Boat Show, the longest ongoing wooden boat show in the Southeast. 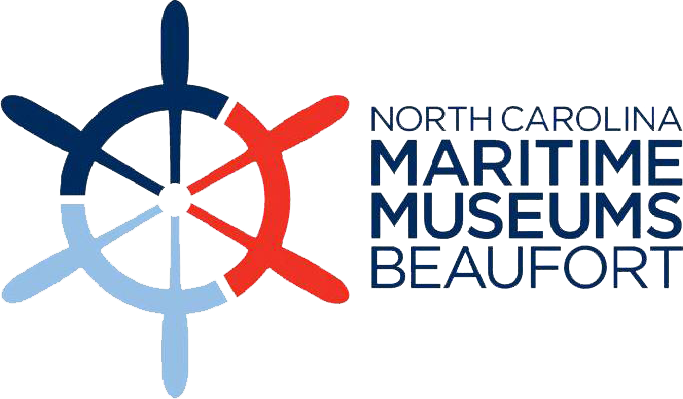 To register, contact N.C. Maritime Museum Registrar Frances Hayden at frances.hayden@ncdcr.gov or (252) 504-7758.